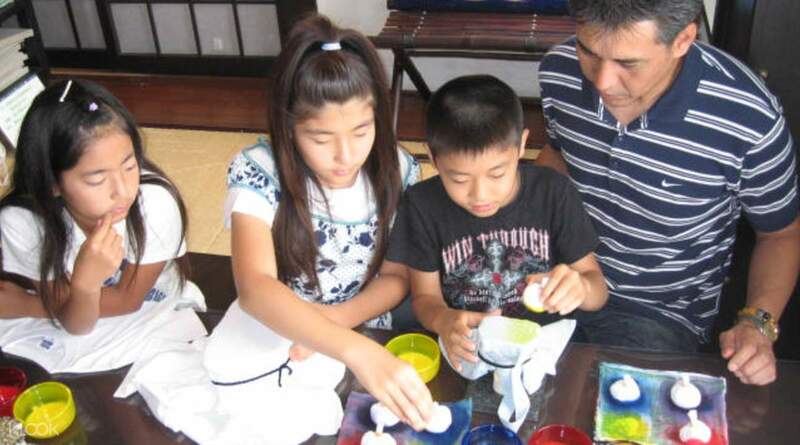 Enjoy a great day out and make an original gift to give loved ones with the Shuri Ryusen experience. 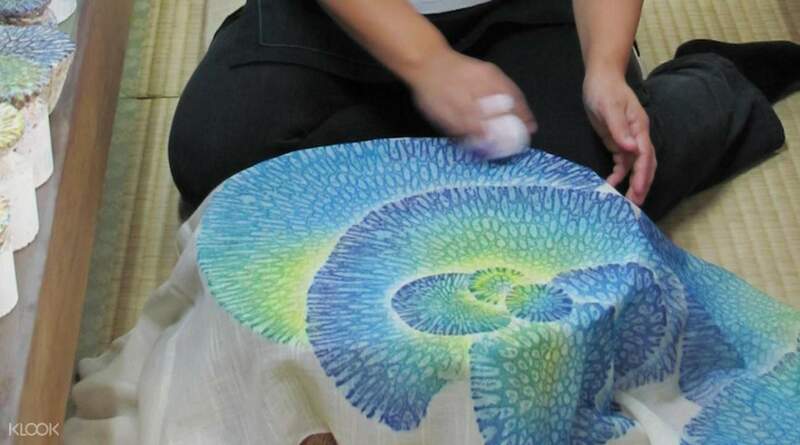 Ryusen has 43 years of history and has long played a big part in the Okinawan dyeing culture. 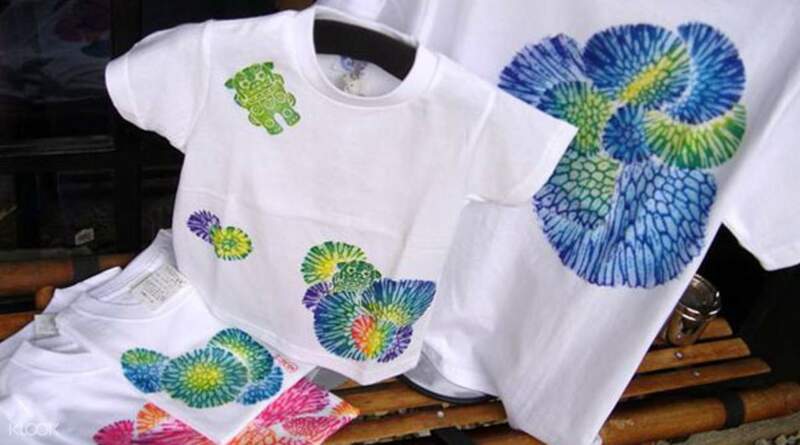 Coral dyeing uses the natural shapes of coral to create your own pattern, then you can use this to create a gift such as a t-shirt or even a handbag. In Okinawa, corals are believed to bring happiness and bring prosperity and longevity, and with this in mind enjoy the experience with the kids and get them involved in finding out more out Okinawan culture in a fun and interactive way. The perfect day out for the whole family to enjoy! It took awhile to reach this place, it’s quite secluded down the road. However, it is easy to find this place through Google Maps. I walked there from a nearby restaurant and it was a weekday late afternoon. Not many people was participating during the time I went, hence it was very peaceful. The staff will guide you through the painting of the coral with simple English which is understandable and clear. There were plenty of corals with different designs, do pick those that have more jugged out lines so that the design imprinted will be nicer. It is an relatively easy activity as well. Personally, the quality of the items are not as good (material is quite thin, thread coming off). Lastly, if you are on budget, you can share an item with a partner by taking turns to imprint the corals. This activity is only worth going once. Staff is also very nice to help take pictures for me with the beautiful paintings they have in the store. It took awhile to reach this place, it’s quite secluded down the road. However, it is easy to find this place through Google Maps. I walked there from a nearby restaurant and it was a weekday late afternoon. Not many people was participating during the time I went, hence it was very peaceful. The staff will guide you through the painting of the coral with simple English which is understandable and clear. There were plenty of corals with different designs, do pick those that have more jugged out lines so that the design imprinted will be nicer. It is an relatively easy activity as well. Personally, the quality of the items are not as good (material is quite thin, thread coming off). Lastly, if you are on budget, you can share an item with a partner by taking turns to imprint the corals. This activity is only worth going once. Staff is also very nice to help take pictures for me with the beautiful paintings they have in the store. It was fun and worth it! Highly recommended to family. Kids will definitely love it. It was fun and worth it! Highly recommended to family. Kids will definitely love it. The location is not at the main road, it’s about 1min walk into a lane. So have to be careful not to miss the lane. The instructors were very patient and helpful. It’s a very enjoyable activity adding colors into my itinerary. I will be back! The location is not at the main road, it’s about 1min walk into a lane. So have to be careful not to miss the lane. The instructors were very patient and helpful. It’s a very enjoyable activity adding colors into my itinerary. I will be back! The place was easy to find. Do note there is not much parking in the vicinity. Activity was really fun and therapeutic. My husband and I really enjoyed it. It was a lovely Okinawa souvenir to bring back home! The place was easy to find. Do note there is not much parking in the vicinity. Activity was really fun and therapeutic. My husband and I really enjoyed it. It was a lovely Okinawa souvenir to bring back home! One of the best and most unique experiences to do in Okinawa. Relaxed and calm environment to practice coral dyeing. I would love to visit again of i get a chance to visit Okinawa again. Very accomodating staff fluent in English too. One of the best and most unique experiences to do in Okinawa. Relaxed and calm environment to practice coral dyeing. I would love to visit again of i get a chance to visit Okinawa again. Very accomodating staff fluent in English too. A true okinawa coral dye experience. The building is magnificient itself, nicely decorated, G floor is the shop, 1st floor for the classes, and penthouse is the showroom for master pieces. You can choose from tote bags, t shirt and lunch box wrapping clothes for the dying course. Staffs are sincere and tools procided are easy to handle. would recommentit for families and groups. A true okinawa coral dye experience. The building is magnificient itself, nicely decorated, G floor is the shop, 1st floor for the classes, and penthouse is the showroom for master pieces. You can choose from tote bags, t shirt and lunch box wrapping clothes for the dying course. Staffs are sincere and tools procided are easy to handle. would recommentit for families and groups. 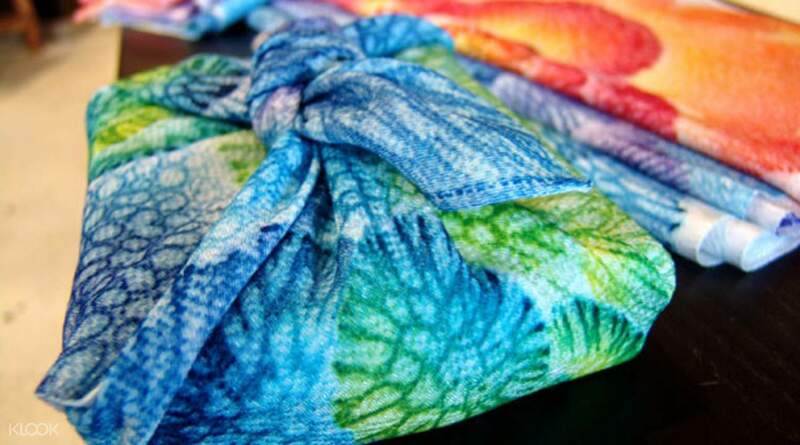 The staff is friendly and helpful, the dyeing process is worth experiencing as well! The staff is friendly and helpful, the dyeing process is worth experiencing as well! 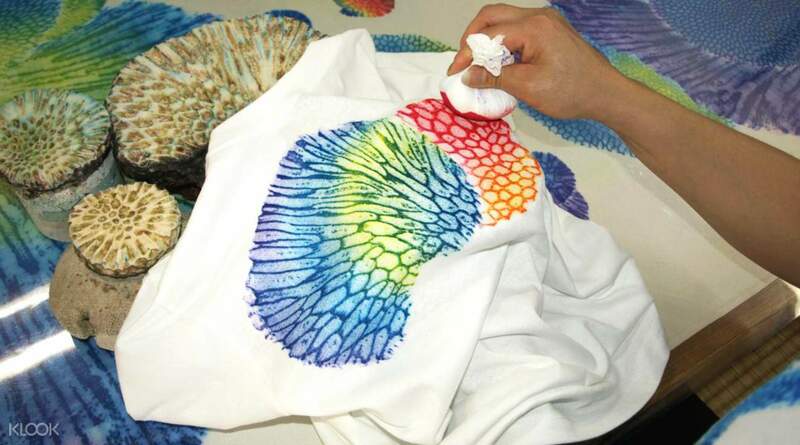 This is such a relaxing and fun activity, and the end product is a great souvenir of Okinawa! Will definitely do this again if I have the opportunity! This is such a relaxing and fun activity, and the end product is a great souvenir of Okinawa! Will definitely do this again if I have the opportunity! Great experience ! It was a very peaceful experience ! Love the environment ! Love doing art in a place like this ! Great experience ! It was a very peaceful experience ! Love the environment ! Love doing art in a place like this !